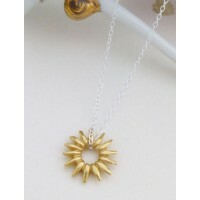 If you or the person that you are buying for is spiritual then you will love the Sabine Feather necklace. 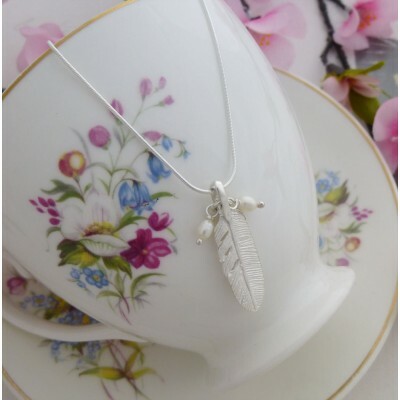 A white feather is often though to mean that our loved ones are watching over us and with the Sabine Feather necklace always with you, it can add comfort and peace to your life. The feather is made from solid sterling silver and features two white pearls that sit either side of the feather. 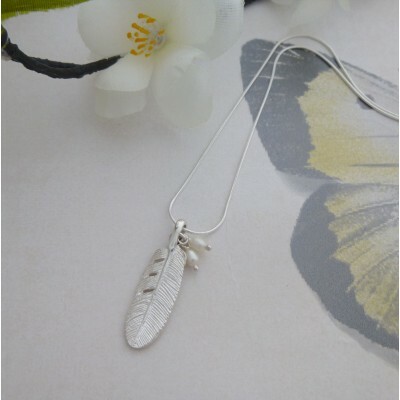 The feather and the pearls sit on a beautiful fine silver snake chain which measures 41cm. 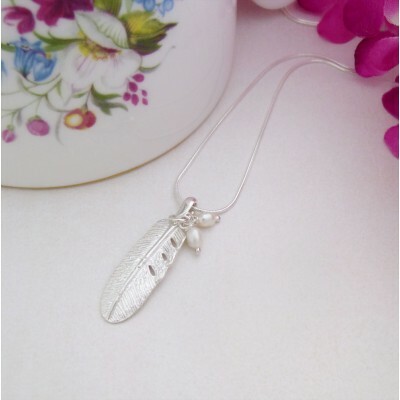 We at Guilty Neckalces adore the Sabine Feather sterling silver necklace that is hallmarked in the UK. 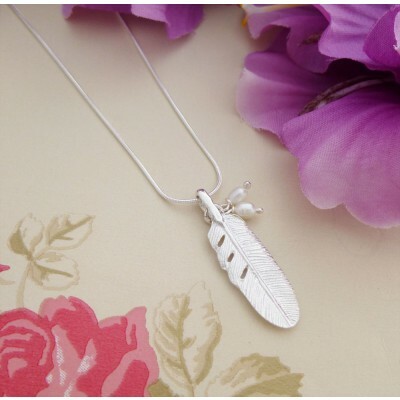 The feather is made from solid sterling silver and features two white pearls.